It’s always nice to get back home after an information packed week. 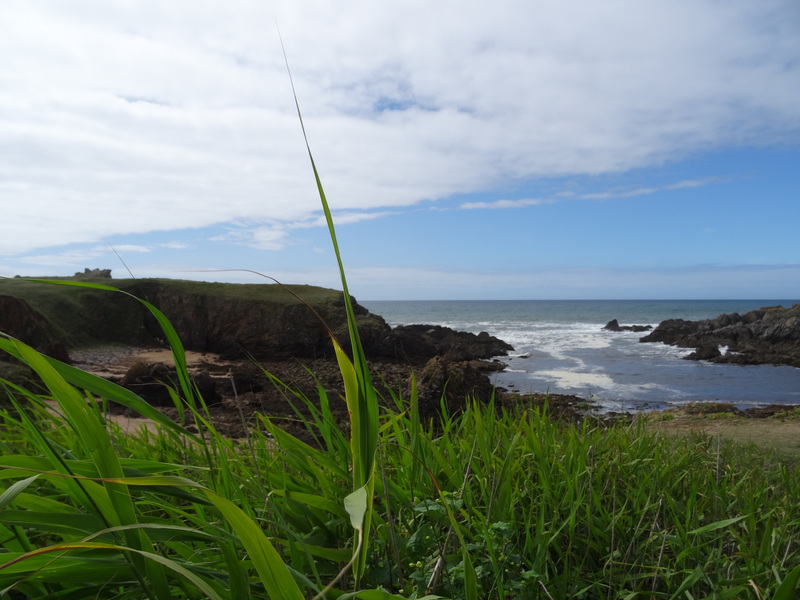 Especially when the temperature is somewhere around 16 – 17 degrees and there’s sun for a change. Spring seems to be peeking around the corner, which is nice after a dull winter (almost no snow, no ice skating, why do we even call it winter any more?). Since I stopped at day 2 in my previous post, here’s the write-up of the last half of the week. Wednesday we started – what a coincidence – with Cloud “as a Session” (ok, enough with the jokes already). Although the topic Cloud is nothing new to me of course, there were still some interesting aspects to this session. We touched upon DevOps which I found kind of weird since the two aren’t really linked. They can be, but DevOps can be applied anywhere from my perspective. I noticed that there are still quite some colleagues for who DevOps is not their day-to-day way of working. I hope they listened well and will apply some of this stuff. 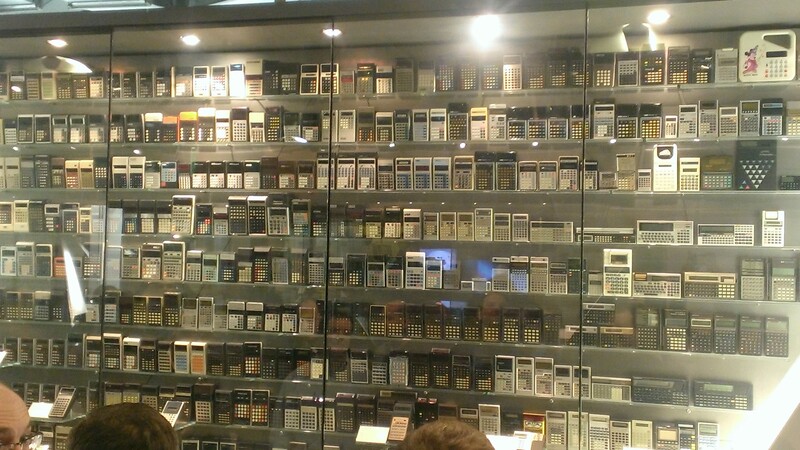 Anyone in need of a calculator? Next up was the topic of High Performance Computing. Not really my thing. I am less and less interested in the technology behind the scenes. When dealing with Azure and Office 365 a lot, one slowly forgets that there is a server running somewhere. And to be honest, I’m perfectly fine with that. I’m just not sure if everyone realizes this, some people might find themselves becoming obsolete in the long run. Consider that when you’re still doing a lot of infrastructure work. 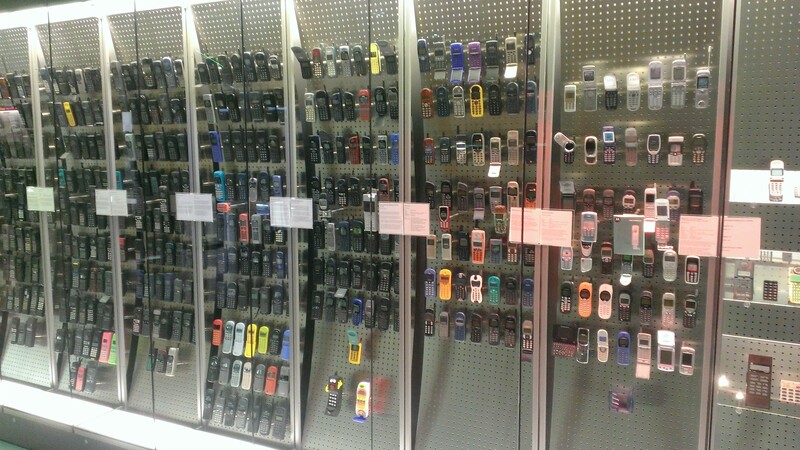 They had quite a collection of mobile phones. Try to find the ones you used! After the museum, it was time for some more knowledge processing. A combined 2-slot session covered mobile computing from the technical, usability and social perspective. These guys used Prezi for their presentation, which is always nice as a deviation from the boring PowerPoint animations. But there were A LOT of sheets, which made it quite a challenge to store all this info. It’s good though to address this topic, as I think it’s an area in which Atos has still a lot to learn. 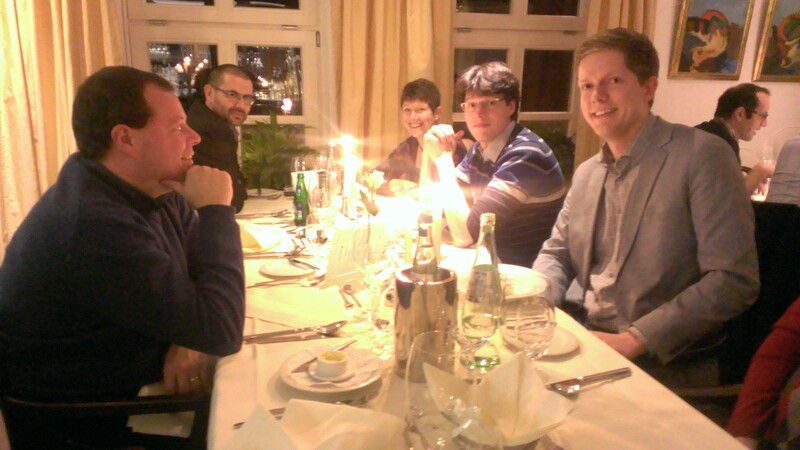 In the evening, we went to a nice restaurant where dinner was excellent. Not for everyone unfortunately, as I learned also that folks from India have quite strict rules about the stuff they can and cannot eat. I do feel sorry for them sometimes, must be hard being abroad constantly having to worry whether you are allowed to eat stuff. Ok. Cracking on to Thursday. The morning session opened with Wilhelm Schäfer who 4 days prior became the President of the University, great that he still found time to tell us about Industry 4.0 and the work the University is doing with it. Perhaps I’ll dedicate a blog post to this topic sometime, as there are some interesting views as to how Internet of Everything will change the (manufacturing) industry. And before you even know it… it’s Friday again! In the morning we road-mapped on a very high pace. Which was fun, playing around with sticky notes once again. I really like the road mapping exercises but I do think I need a lot more practice before I’ll get it really right. It seems like a rather simply task, it really isn’t though, especially when faced with a tough time schedule. After the final session on risk management we ended the week with a summary and our judgement on what was good and what could be improved. And then, after some hand shaking (sorry I forget you, Alan! ), we parted again to see each other in about 3 months back in Cambridge. No time to sit and relax though, tons of stuff to read and projects to do! I’ll be back! 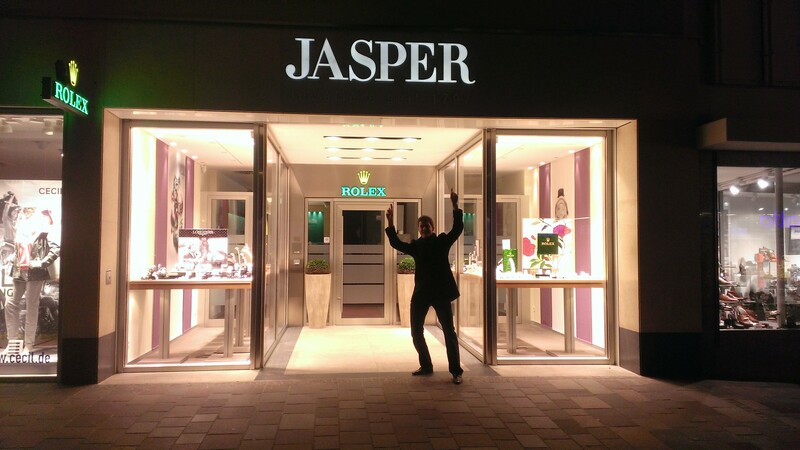 Apparently I have my own jewelry shop in Paderborn.